Do you know about the Enable Society in Rhodes? What about the Disability Committee? Have you ever heard of the Sibanye Special Day Care Centre in Joza? The answer to all of the above questions is probably no. 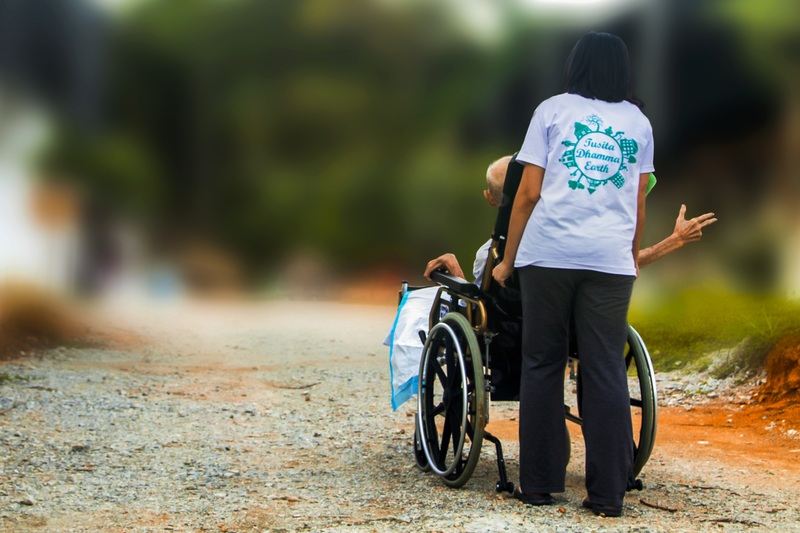 The above organisation and societies were formed to help include disabled people as part of our and help raise awareness of the disability in Grahamstown. Why do people not know about the above organisation and societies? Grahamstown’s historical background has made it difficult for the currently transforming society to engage with the disabled society. The controversial circumstance that the disabled minority find themselves in is one that is rather oppressive due to Grahamstown residents’ lack of knowledge with regards to disability. As much as this is true, another challenge lies in the lack of interest of people as they do not relate with people living with disabilities. In an online survey shared amongst Facebook pages based in : UCKAR Student Body Page 2017 with 12 818 members and the Grahamstown page with 12 114 members only 17 people volunteered to do the survey and out of that 17 neither one of them was part of a disability society. The above results show us that the main problem lies around the community being uneducated and misinformed about this social issue. “Say I was in a wheel chair and you were running and it’s a steep slope and I can’t get up… and I ask for help and you say no, you didn’t even try. Someone reprimand you for your actions but if it was me they would say ‘Oh well, I guess it’s her own fault’ That’s the type of mentality people have but the thing is you can’t see my disability,” says Rhodes University student, Jonelle Fourie (living with an Attention Deficit Hyperactivity Disorder (ADHD) and dysgraphia). Fourie’s expression portrays the daily oppression disabled people go through due to the mistreatment of “normal people.” The utterance and actions from ordinary people that negatively impact the disability community are expressions such as: “I am so depressed” to express frustration. As mush as this does not sound offensive, it is an insult to the person going through the struggle of living with depression. Also, making jokes about peers taking their medication or even about their disabilities is an oppressive action that makes disabled people prone to depression. Another issue lies around the labels that are attached to this particular group in this community. The labels that are given to disabled people isolates them from the rest of the community as opposed to adding to our diverse society as a different cultural group. There only day care centre for disabled children between the ages of 8 – 15, Sibanye Day Care Centre remains unknown amongst the community. Sibanye is part of the Community Engagement organisations that Rhodes is part of but only a few students choose to volunteer there. The co-founder of Sibanye, Veliswa Mdaka says that all that these children need is love. They want to feel loved because the affection is not only scarce amongst community members but amongst their own parents. The lack of knowledge about disability has hindered Grahamstown tremendously, ranging from institutions to household. The solutions to this lies within ourselves: What can we as individuals do to educate ourselves more about this social issue. This entry was tagged ADD, Deaf, depression, disa, dy, Grahamstown, how, rh. Bookmark the permalink.